Every year Geshe Dorji Damdul, Director of Tibet House in New Delhi, and one of the official translators for His Holiness 14th Dalai Lama, comes to Root Institute to lead his signature Bodhichitta Retreat. Geshe-la has a highly energetic and engaging teaching style that covers the more complex topics of emptiness, tenets, relative and ultimate reality, and bodhichitta. Geshe Damdul is an eminent scholar, illustrious teacher, author and pioneer in the renaissance of the Nalanda Buddhist Philosophy. He has written several important papers for National and International Conferences. He is widely known for his inimitable proficiency and interest in science and Buddhism alike. He is praised for his eloquent, insightful and powerful teaching style. 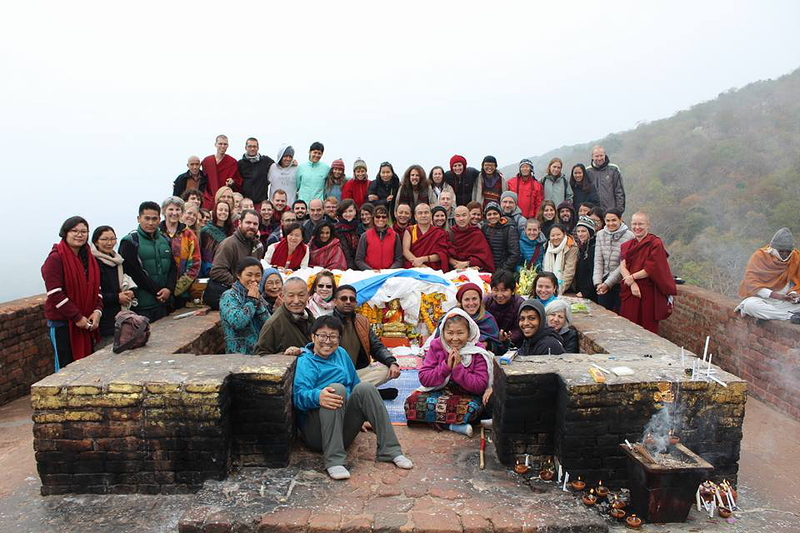 This retreat is extremely popular among all students – beginners, intermediate and long-term practitioners. If you consider yourself a beginner, we suggest prior reading and preparation; these Lam Rim guided meditations – PDF – by Ven. Thubten Chodron would serve as a helpful resource. 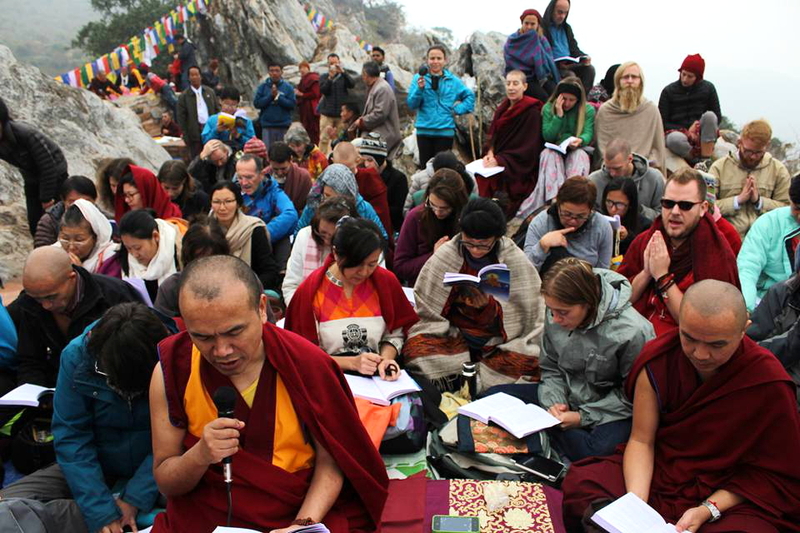 The retreat will include teachings, practices and meditations guided by Geshe-la, and discussion groups. 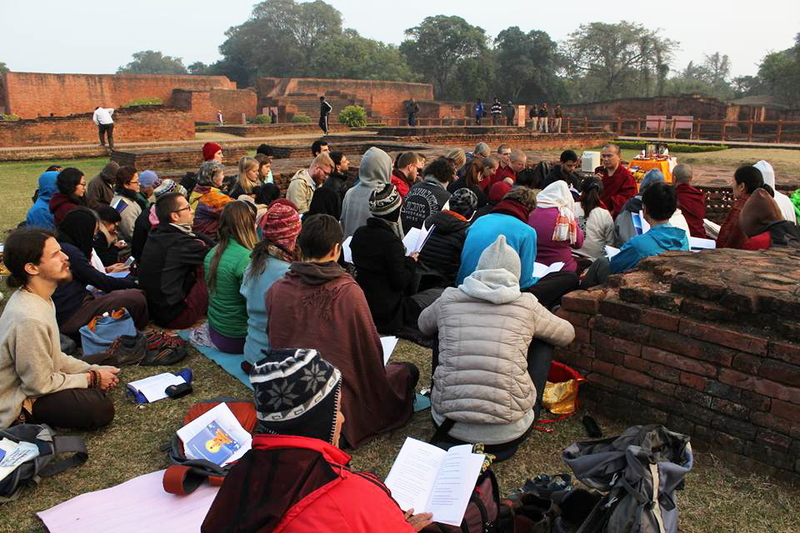 Geshe-la will confer the aspiring bodhisattva vows at the Mahabodhi Stupa and lead a pilgrimage to Rajgir – Vulture's Peak and Nalanda. This retreat will include maintaining silence from 8:30 pm through to breakfast next day.